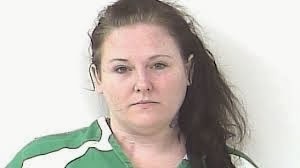 Local police say a Florida woman stabbed her soon-to-be husband in front of her child because he wouldn’t take her to a liquor store. Immediately prior to the stabbing, Bopp had asked Henry to take her to the store to buy liquor, according to a Fort Bierce Police report. Henry refused, saying he didn’t want to drive intoxicated. After the stabbing, Henry was taken to a hospital in an unknown condition. His grandmother says the couple was supposed to be married next week. I love a woman with spirit.